The Giants have quite a season to look forward to. As we all know, a championship repeat is near impossible in professional sports today. Too much changes from year to year. Teams lose guys to free agency, owners shuffle players to manage their budgets. Brian Sabean and Co. have done a great job of keeping our championship squad together. But it’s going to take much more than just having the same 9 guys on the field. 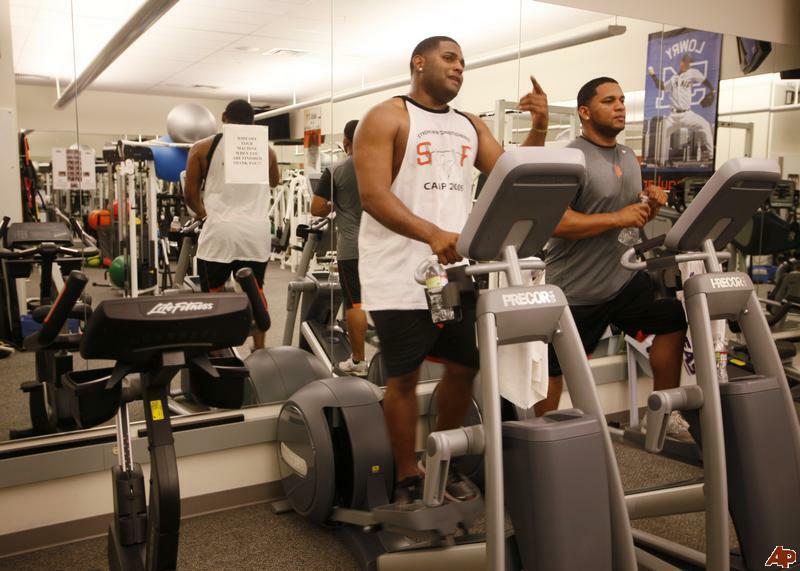 Luckily for us, we have guys on our squad like Pablo Sandoval. You may know him simply as “Kung Fu Panda”, or just Panda for short. We’ve all noticed that over the last 2 seasons, he’s put on a few (on top of what he already had). I was always amazed at how fast he could move for a guy of his stature. When he was slumping early last season, I’m sure I wasn’t the only one thinking he needed to hit the gym. And after this season ended, even Bochy publicly spoke about his need to shed a few pounds last November. “He’s got to take responsibility for losing weight and getting in the condition he needs to be in,” Bochy said. “I don’t know what else our training staff could have done. We had his food brought to him. We educated Pablo and his family, but at some point you’ve got to do it yourself. He knows that now.” So what did Panda do? Exactly what he needed. And then some. It’s going to take this kind of determination from ALL the Giants players to repeat this year. But with players like Kung Fu Panda setting the tone this preseason, guys won’t have to look far for inspiration. I can’t wait to see the starting 9 take the field come March 31st, and hopefully, Kung “Fit” Panda will be leading the way. This entry was posted in Giants and tagged giants, offseason, pablo sandoval. Bookmark the permalink.